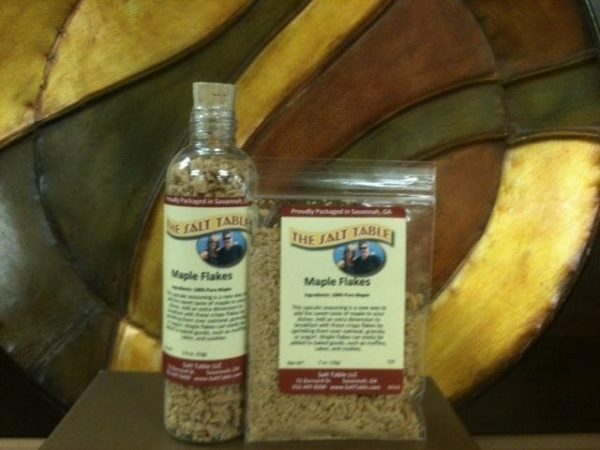 Bring back warm memories of childhood and your love of maple syrup in a new way! This is 100% pure maple, made into crispy flakes, a unique and innovative way to add real maple as a topping for cupcakes, muffins and other baked goods. Try sprinkling on warm oatmeal, or add to homemade granola. Also good on yogurt! This is a great natural sweetner, with fewer calories than sugar.